Paramhansa Yogananda, 1893?–?1952, was the first yoga master of India to take up permanent residence in the West. 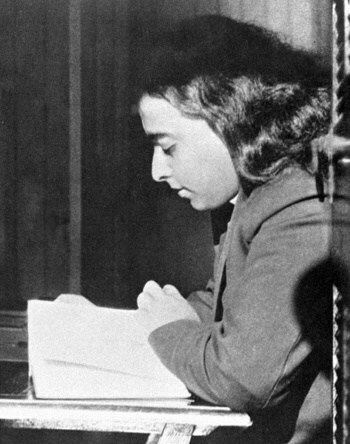 Yogananda was born Mukunda Lal Ghosh to a wealthy Bengali family in Gorakhpur, India. 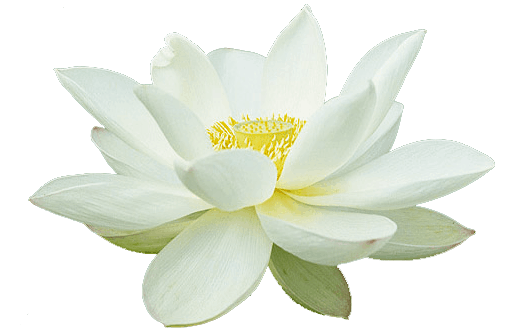 From earliest childhood the young Mukunda displayed an intensely spiritual disposition. His favorite pastime was visiting saints, and his spiritual quest eventually led him to his guru Swami Sri Yukteswar Giri of Serampore. Under his guru’s training Mukunda attained, in the amazingly short period of six months, the high state of samadhi, or unconditioned oneness with God. 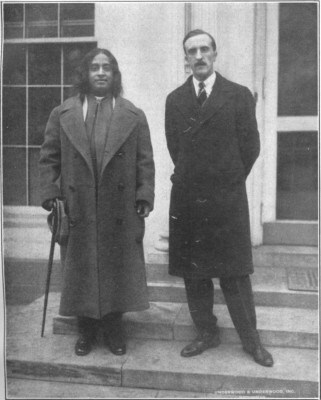 Sri Yukteswar ji initiated Mukunda into sannyas in 1914, the heretofore Mukunda now became Swami Yogananda. 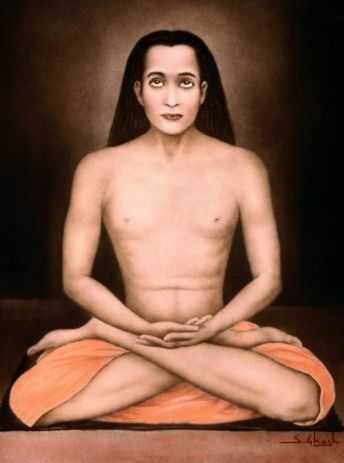 Yogananda’s outward mission began in 1916 with the establishment of the Brahmacharya Vidyalaya in Ranchi. The school was financed by the Maharaja of Kasim Bazar and fulfilled Yogananda’s ideal of all-round educational, physical and spiritual training for the youth of India. Sharing the Teachings of Yoga in the U.S. 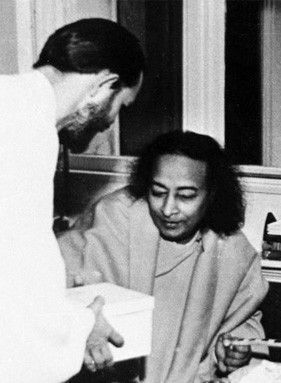 In America Yogananda travelled extensively, lecturing in all the major cities. His ‘spiritual campaigns’ were a huge success: Thousands filled the largest city halls to receive the Self-Realization teachings of India. Among his adherents were many prominent people of his time. Such was his acclaim that he was received at the White House by the U.S. President Calvin Coolidge, the first Indian to be so honored. 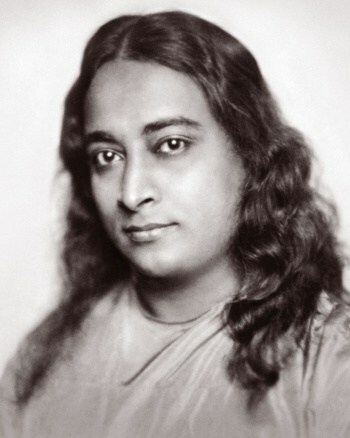 Yogananda devoted his later years to the personal training of disciples who would carry on his message after his passing. 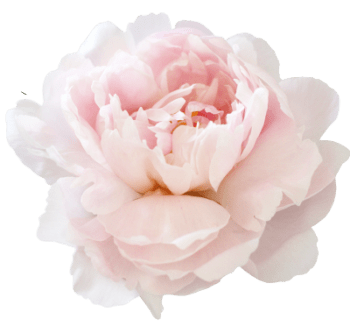 Among these disciples was Swami Kriyananda, who founded Ananda in 1969 to share Yogananda’s teachings and to fulfill his vision for Spiritual Communities. Paramhansa Yogananda entered mahasamadhi on March 7, 1952 at a banquet in honor of India’s ambassador to the U.S., Binay R. Sen. It was a fitting setting, for Yogananda himself had served as India’s Spiritual Ambassador to the West for thirty two years. 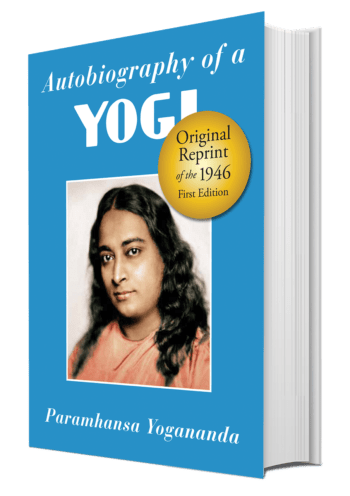 Yogananda’s best known work today is the Autobiography of a Yogi. Considered a spiritual masterpiece and acclaimed by prominent men from many fields, the book has inspired and continues to inspire millions with a vision of their own innate Divinity. 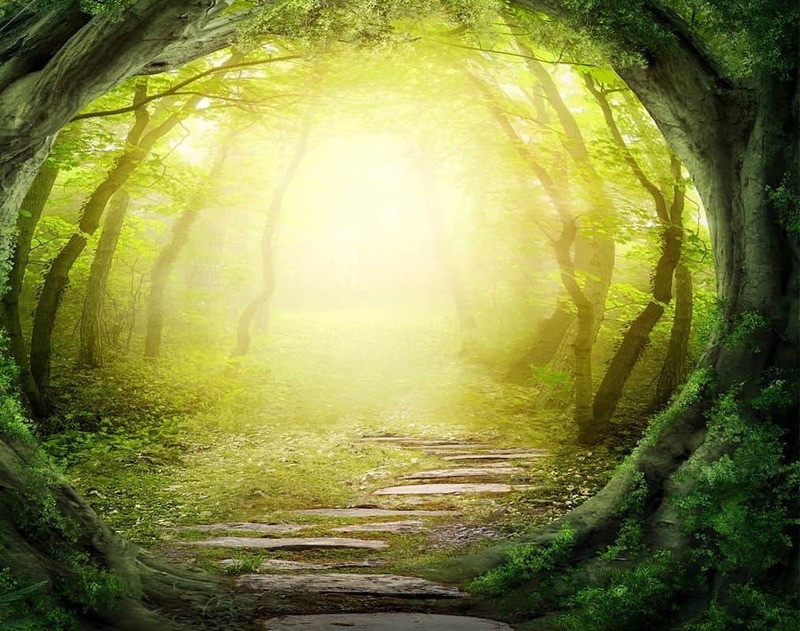 Thou art everything, O God, to the pantheist. Thou art the God of monists, dualists, polytheists, and pantheists. Thou art both the Infinite Ocean and all its finite waves of creation. The souls of monists, dualists, polytheists, pantheists— All bow to Thee! Norman entered the dining room one day at lunchtime looking stunned. ‘Suddenly the truck slowed to a complete stop! The brakes still weren’t working, but I was able to park safely in gear and curb the front wheel.